Our forefathers for ages have used food products that have the presence of a multitude of microorganisms with beneficial health effects on the consumers. 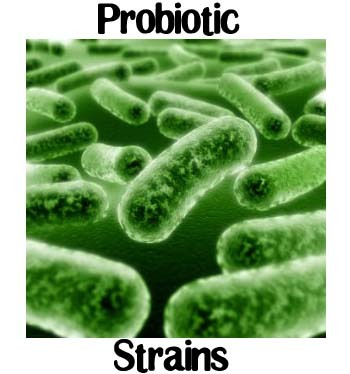 However, with due course of time only a few of the beneficial bacteria have made it to the headlines as probiotics. 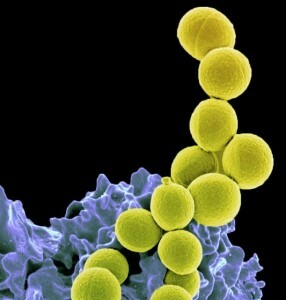 The other useful bacteria have remained in the dark due to lack of knowledge of the consumers and the industry alike. Also, the characterization and isolation of the bacteria have remained largely constrained. There has been rapid progress in the characterization of a large number of probiotic species and their strains from the genus Bifidobacterium in the last two decades. This has given rise to the subsequent interest in the scientific community and commercialization of the strains for their ability as probiotics to render essential health benefits. 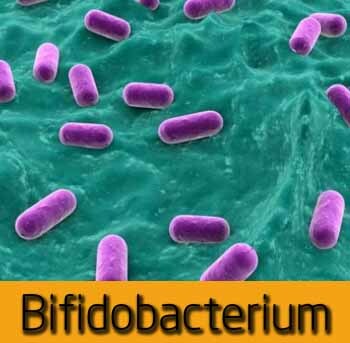 The members of the bifidobacteria are natural inhabitant of the GI tract in humans and other animals and are gram (+) in nature. The genus discovered at the beginning of this century has gained significant importance as key component of human-microbial commensal relationships. They are believed to play critical role in the maintenance of the health of the human gastrointestinal tract. Although the importance of the bifidobacteria in maintaining our well being is now being generally accepted but their molecular mode of action in providing the due beneficial effects is far from being delineated. Many types of bacteria are used in probiotics, but one of the most important groups is the genus Lactobacillus. These organisms are naturally present in the healthy human gut, and can be found in foods like yogurt and sauerkraut. When you buy probiotics you can ensure that you are consuming larger quantities of these organisms than you would get through simply eating healthy foods. Importantly, with probiotics you can learn information about what specific species and strains of Lactobacillus you will be ingesting. Different species and strains within the genus Lactobacillus have different properties and may be more useful for specific health problems you are trying to target through the use of probiotics. There are a few Lactobacillus species that are especially worth mentioning: Lactobacillus rhamnosus, casei, johnsonii, and acidophilus. When you shop for a probiotic, you may not see the word “Lactobacillus”, but instead see a name written after “L.”. This is an acceptable way to abbreviate the genus name and should not make you suspicious. This probiotic species has been clinically shown to reduce the duration of diarrheal disease in children and adults. Small trials have shown it to be better at reducing diarrhea than any other well-characterized Lactobacillus species. The strain Lactobacillus rhamnosus GG is known to be the absolute best probiotic for shortening the length of traveler’s diarrhea, and can sometimes prevent it completely. It is a great idea to bring along a probiotic containing this species when visiting countries with water quality issues. This species has many well-characterized strains, such as Lactobacillus casei DN-114 001 and Lactobacillus casei Lbc80r. These strains have been developed and studied by food and health scientists. Like all Lactobacilli, this species breaks down sugars in the gut to form lactic acid, which helps regulate the pH of the gut. However, L. casei is able to survive in a wider pH range than many other members of its genus, so it may be particularly helpful in maintaining a healthy gut pH. Lactobacillus johnsonii is one of the most important and common species in the normal, healthy human gut. Healthy adults should have a lot of this probiotic naturally occurring in their intestines, but it can be wiped out if you take antibiotics. Replenishing your supply by using probiotics is a good idea and can help prevent general gut disturbances, like excess flatulence or bowel irregularities. This is the single most common Lactobacillus species you are likely to see when you shop for probiotics. It has been extensively researched and has been shown to have numerous significant benefits. L. acidophilus is the only member of its genus and one of very few probiotics that has been clinically shown to colonize the gut long-term after supplementation. This organism can be found in the gut up to a year after a person stops taking their probiotic supplement. This means that the positive effects of L. acidophilus have real staying power. This organism, like all probiotics, helps regulate the digestion. However, unlike other species, it has been shown to have clinical effectiveness in treating Irritable Bowel Syndrome. Some small studies have also shown that taking this organism helps to reduce the severity of asthma, and it is well known that frequent consumption of L. acidophilus can reduce or relieve the symptoms of lactose intolerance. Lactobacillus acidophilus has particularly strong benefits for women. This organism is very important for vaginal health. It produces mild, natural acids that keep this part of the reproductive system healthy, reducing the incidence of bacterial vaginitis. 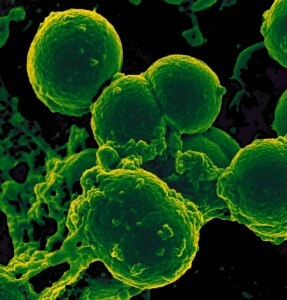 L. acidophilus is known to compete with Candida albicans, the organism that causes yeast infections. Many women develop yeast infections after antibiotic therapy. Taking this probiotic can help prevent and cure yeast infections. Women may find that a probiotic containing L. acidophilus helps to improve their reproductive as well as digestive health. While L. acidophilus is a normal part of the human gut flora, it can also be found in the digestive systems of other animals. Preliminary studies suggest that feeding cattle probiotics containing this organism reduces the amount of E. coli in their systems, meaning that not only can this probiotic improve your health, it might also be able to improve the safety of the food supply. When shopping for probiotics remember that Lactobacillus or “L.” species help maintain a healthy gut by producing mild, natural acids. They outcompete harmful bacteria and reduce inflammation, helping to prevent and treat diarrhea. Some species are particularly good at treating traveler’s diarrhea, Irritable Bowel Syndrome, or yeast infections. These helpful probiotic organisms are a great addition to your diet. Pagiani, C. (2010). Probiotics promote gut health through stimulation of epithelial innate immunity. Proc Natl Acad Sci U S A. 2010 January 5; 107(1): 454–459.